Sometimes in our lives a setback in movement and mobility, due to disease, trauma, or aging, adversely affects our quality of life. To regain mobility, restore and improve human performance, Motek and her partners DIH, Hocoma and MR Systems draw on 20 years of experience in rehabilitation technology and virtual reality. 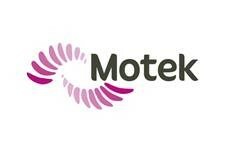 Motek is a leading force in developing and integrating various rehabilitation technologies for the medical and research market. Its expertise lies in translating scientific knowledge into clinical products based on real-time feedback on human performance, using interactive and dynamic Virtual- and Augmented Reality systems.